Dead Rising 2 is an odd beast. It's a sandbox game, in which your character, Chuck Greene, is able to explore the quarantined Fortune City strip. 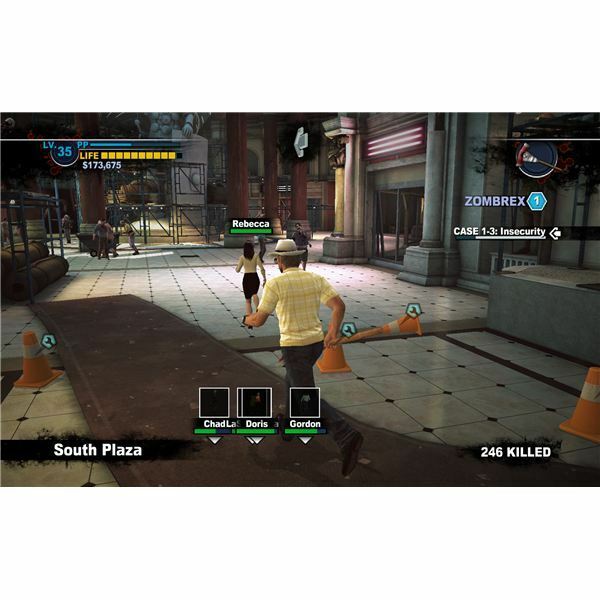 At times you will find yourself fighting crazed humans and bloodthirsty zombies to save humans and be the hero. Other times, you'll probably put on a cowboy hat and a purple dress and run around doing elbow drops off of rooftops and into crowds of zombies. Then you'll put on moose antlers and look for a big horde to charge through. It's an odd game, and certainly not one that everyone will enjoy. If you're interested in learning about this fairly unique experience, or if you just want to get some help with saving Fortune City, then you've come to the right place. I personally loved Dead Rising 2. It fixed most of the apparent issues that weighed down the first game, and just created a great sandbox environment. It seems to have held a fairly good standing, even after some time has passed. If you haven't bought the game yet, or you just want to know what to expect, you can check out a few of our reviews on the game and its add-ons, Case Zero and Case West. Case Zero is the special early DLC release that acts as a bit of a prequel to the main game. In this version, you'll wind up trapped in a small town as Chuck and his daughter try to escape the zombie quarantine. Your priorities will soon shift to short-term survival, a few rescue missions and a constant search for Zombrex medicine in the overrun area. Well, it looks like Fortune City is currently suffering from a bit of a zombie attack, and it looks like we have a rough three days ahead of us. Chuck will need to prove his innocence (if you want to get a good ending) through a series of incredibly dangerous investigations that will take him through hordes of zombies and force a few gunfights with mysterious mercenaries. The main series of cases are technically optional, and if it's your first run through of the game, you may not want to bother with all of them. If you do want to take care of all of the cases without cursing the gods for putting in such terrible gunplay, just look at the selection below. 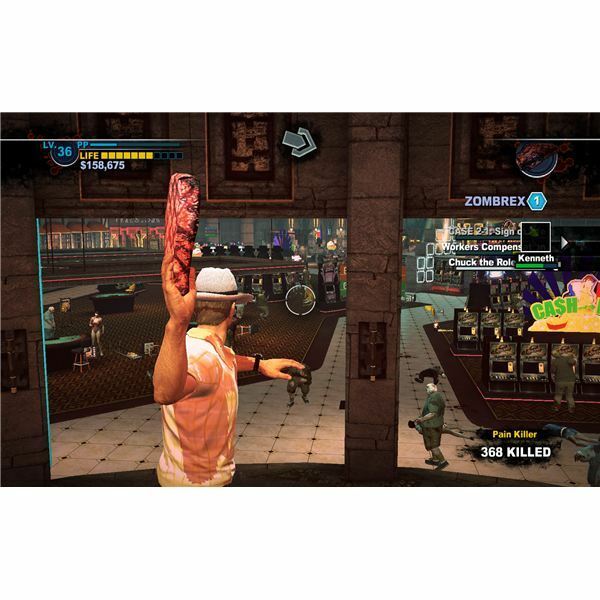 Of course, the main draw of the Dead Rising series is that you don't just fight hordes of zombies. In a classic zombie movie homage, your worst enemy will always be other humans. There are a number of interesting psychopaths that the swarm is leaving in its wake. Just as before, there are a number of people to fight, and you'll probably need to kill most of them to save enough survivors for the achievement. Psychopaths are optional fights, and some are very hard. You may need to wait until a second playthrough on a more experienced character to successfully kill them. If you can do it right though, you'll wind up with a lot of survivors and a big tiger. Each of the guides below will give you a bit of help with the battles. This should include good loadouts, weapons and tactics to make the challenges as pain-free as possible. 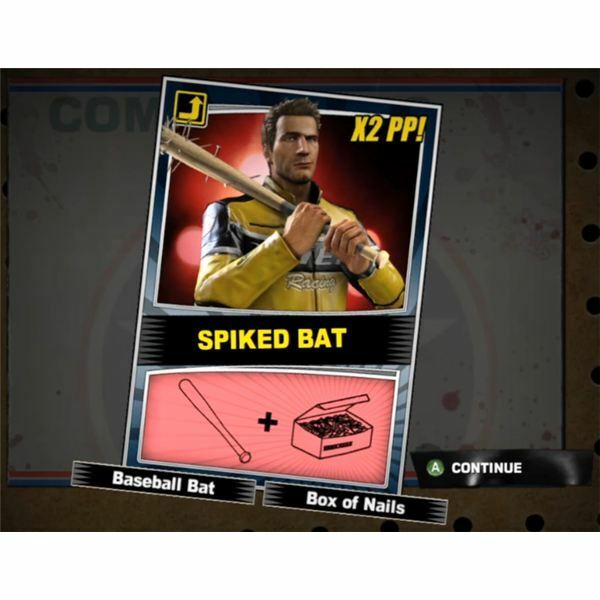 Killing Seymour Redding the "Lawman"
At its heart, Dead Rising 2 is really just about exploring a big sandbox and picking up as much stuff as you can find. You really haven't played the game until you've tried out the craziest weapons, found all the hidden combo cards and rescued all of the survivors to really fill up the safe. If you need help finding any of the above, or just working out some drink combos, then we've got you covered. Hopefully you now have the information that you need to cut a nice clear path through the mayhem surrounding the strip. Our guides should be able to get you past the hardest parts, and open up a few fun weapon combos that you may not have thought of before. Remember that you shouldn't worry too much about following any one guide. They're just tips to make things easier. The heart of the game is about having fun in your own way. Frankly, I don't see how this can be anything other than putting Chuck into a goblin mask and pajamas while he walks around with a homemade flamethrower. I guess there can be differences of opinion though. If there's anything that we missed or anything that you'd like to add, please feel free to post it in the comments below.